The champagne flutes have a kiss cut design with 2 Swarovski crystals bonded to the side of the flute. gift to suit any celebration. 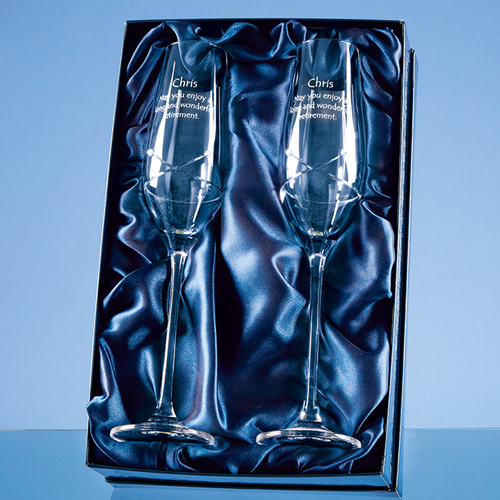 The champagne flutes are presented in a satin lined box.